The EXF129TV2 Series is a stainless steel complete fixed camera station specifically designed for Hazardous Area applications. 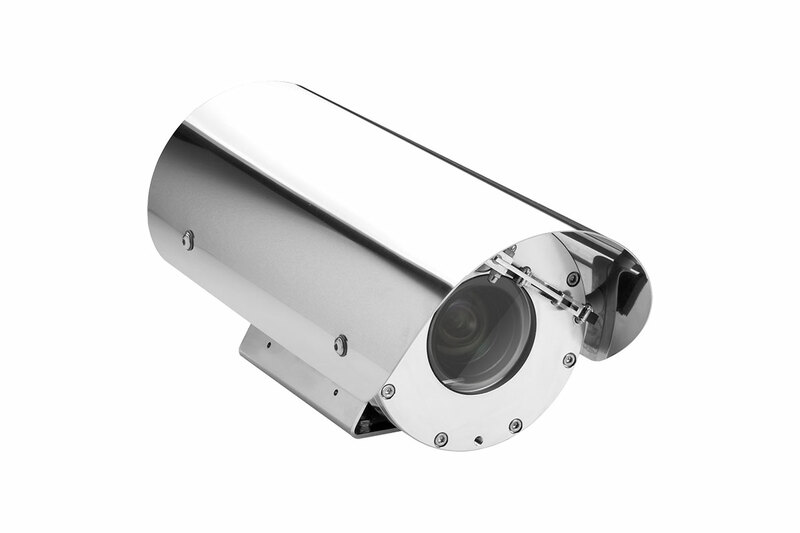 This camera station is equipped with a latest generation up to 2048×1536 @30FPS IP Camera block. Its design ensures the best protection from external agents and an easy installation and maintenance service. The sunshield protects the housing from heat and dirt, while the heater demoisturizes the housing front window if needed. An integrated wiper version is available.